Hon Hai Precision and its subsidiary Foxconn make iconic electronic gadgets like iPhones and PlayStations in China, where they employ more than 1 million people. 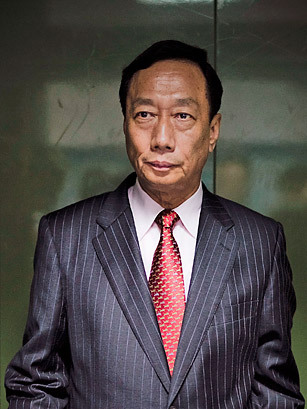 Until recently, Foxconn avoided the attention given to its customers, which include Apple, Sony and Microsoft. But in 2010, after 14 workers committed suicide, Gou faced uncomfortable questions about long hours and low pay at his mega-factories  and consumers were reminded that some costs of their beloved gadgets don't show up on the price tag.